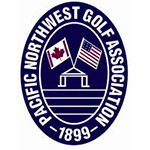 AmateurGolf.com members see additional information, including current and past tournament news and results, contacts, history and more, for this tournament and over 2800 other amateur golf tournaments; plus the AmateurGolf.com Rankings and Player-of-the-Year races for men, women, seniors, and mid-ams. The latest results are available for this tournament. The list of past champions is available for this tournament. No registration information is currently available for this tournament. Welcome to the online registration system, powered by AmateurGolf.com. Please enter your access code below. If you do not have an access code, please visit the to request an invitation.